Following an initial publicity push in early June for the first batch of devices working in tandem with Apple's HomeKit home automation service, iHome today announced that its iSP5 SmartPlug is now ready for a wider launch. The SmartPlug is one of the first official HomeKit-compatible products, allowing its users to interact with the power settings of any device -- from a lamp to a fan -- that is plugged directly into it. The available app can be downloaded for both Android and iOS, but Apple users will specifically be able to control their home electronics with their voice thanks to Siri integration. 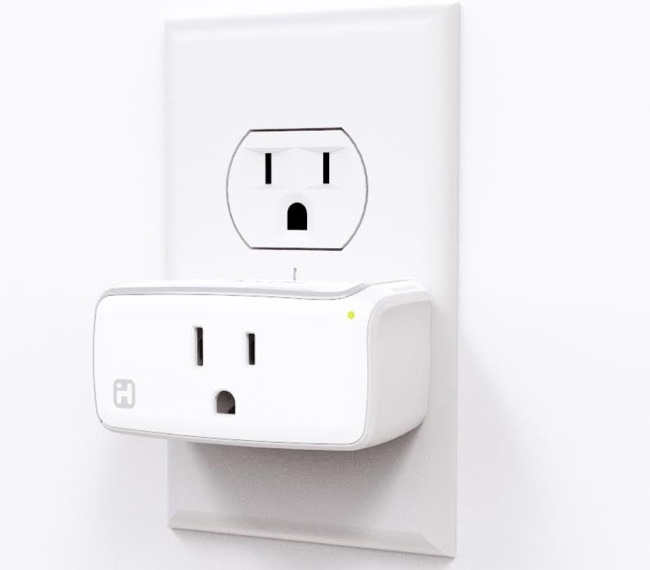 Part of the iHome Control series of devices, the new iSP5 SmartPlug will let customers group multiple SmartPlugs into different "scenes" that let them control entire rooms of their home at once, and even create schedules and timers for the plugs to turn on or off the device connected to them. Notably, the iSP5 SmartPlug doesn't require a dedicated hub as with products like the Philips Hue lighting system, but instead works directly with a standard Wi-Fi router. iHome notes that the SmartPlug is just the "first in a planned series of products," with promised announcements of new devices joining the iHome Control series in the coming weeks and months. Those interested can purchase the iSP5 SmartPlug from iHome's official website and Amazon for $39.99, with a larger retail rollout expected in the next few weeks. Is it just me or is 40 bucks still way to expensive to be considered by the majority of potential customers? I am definitely not willing to pay $40 for a single power outlet. But think of the money you'll save not paying people to turn your lights on! I still don't the craze with these home wifi devices. What's so hard about flipping a switch?! Seems like more work than it's worth to turn on/off appliances with your phone? For me, the lure is more about being able to control these things away from home. Such as being able to turn the A/C on in an apartment as I leave from work during the summer. Apple expensive. Must be magical. I'm actually impressed that it's only $40 at launch. I remember when the Phillips lightbulbs came out and how expensive those were with Wi-Fi built-in. In the video she turns on the kitchen lights. Is that because the kitchen lights were plugged into an outlet? Also kind of funny that they have this amazing house and a ghetto air conditioning unit. Cheaper than EVERY other full home automation system. Clueless much? Glad to hear that buying an additional hub isn't needed. $40 bucks is insane for things like lamps and TVs, but I'd happily pay $40 to be able to remotely monitor and switch on/off the heat and air conditioning, or to open a garage door. I think the larger things are where this is going to be useful. Once the adapters get closer to a $10 price point, I don't expect many people to purchase 5+ of these for an entire room.